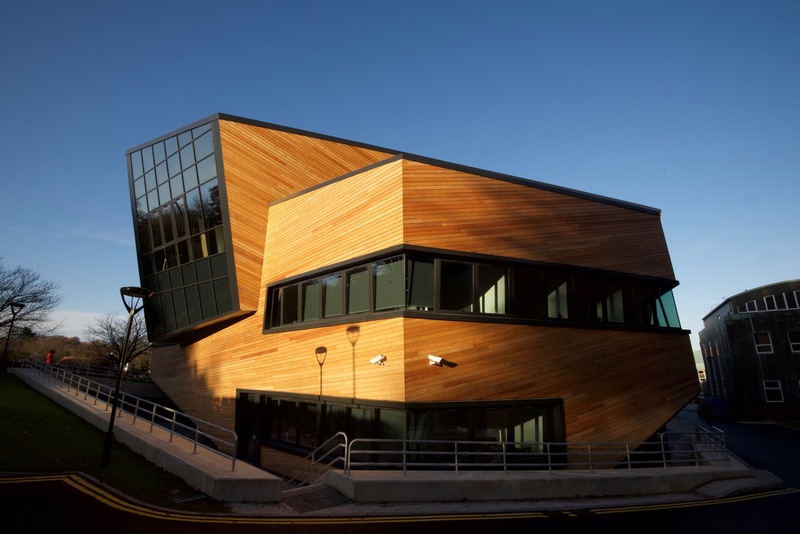 The Ogden Centre for Fundamental Physics, named after the benefactor businessman and Durham physics graduate Professor Sir Peter Ogden, is a world-leading centre of excellence in fundamental physics research at Durham University. The Ogden Centre has expanded with the recent completion of a second iconic building, designed by Studio Daniel Libeskind, to house our cosmology and astronomy research activities. The new Ogden Centre West building was opened by Lord Martin Rees on Friday March 10th 2017. The celebrations began on Thursday, 9 March, with a series of talks from leading figures including architect Daniel Libeskind, Lord Martin Rees, the Astronomer Royal, and prominent astrophysicists Professors Hiranya Peiris, Mark Hannam and Carlos Frenk, Director of Durham University’s Institute for Computational Cosmology (ICC). The opening celebrations also saw a free public showing of light and sound projection Worlds, Systems & Creations featuring stunning computer simulations of the Universe carried out at the ICC. On Friday 10 and Saturday 11 March, visitors were able to learn more about the Universe through a series of outreach activities including the chance to build a Universe with the Universe Creator, take a virtual reality "Tour of the Cosmos" and watch the 3-D movie Cosmic Origins; created by the ICC. the Institute for Particle Physics Phenomenology, IPPP (in the original Ogden Centre East building). the Institute for Computational Cosmology, ICC (based primarily on the top floor of the new Ogden Centre West). the Centre for Extragalactic Astronomy, CEA (based primarily on the first floor of the new Ogden Centre West). the Centre for Advanced Instrumentation, CfAI (based primarily on the ground floor of the new Ogden Centre West). The current Centre was completed with funding from a number of sources, including a generous donation from the Ogden Trust, the Durham University and the Wellcome and Wolfson Foundations. On-going support is provided by STFC (the Science and Technology Facilities Council). The original Ogden Centre East building, which is adjacent to the Physics Department, was officially opened by the Prime Minister, the Rt Hon Tony Blair MP, in October 2002. The new Ogden Centre West building will be opened by Daniel Libeskind in March 2017. The Ogden Centre has a major involvement in an outreach project to promote public knowledge and understanding of exciting areas of research in astronomy and particle physics. The Ogden Centre celebrated its 10th birthday on 18th September 2012.